3 Bedroom Semi Detached House For Sale in Dunstable for Asking Price £360,000. Taylors Estate Agents are delighted to offer for sale this elegantly presented three bedroom extended semi detached family home situated in the sought after South West area of Dunstable. The ground floor accommodation comprises of an entrance hall, kitchen, extended lounge/ diner and study/ fourth bedroom. The first floor offers three bedrooms and a family bathroom. 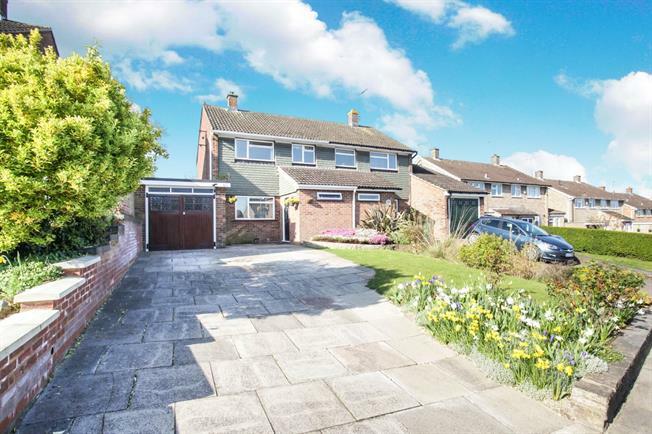 The property benefits from off street parking, garage to the side of the property and front and rear gardens.